A really rare 80 goes from Bresciacar to the AUDI Museum in Ingolstadt. 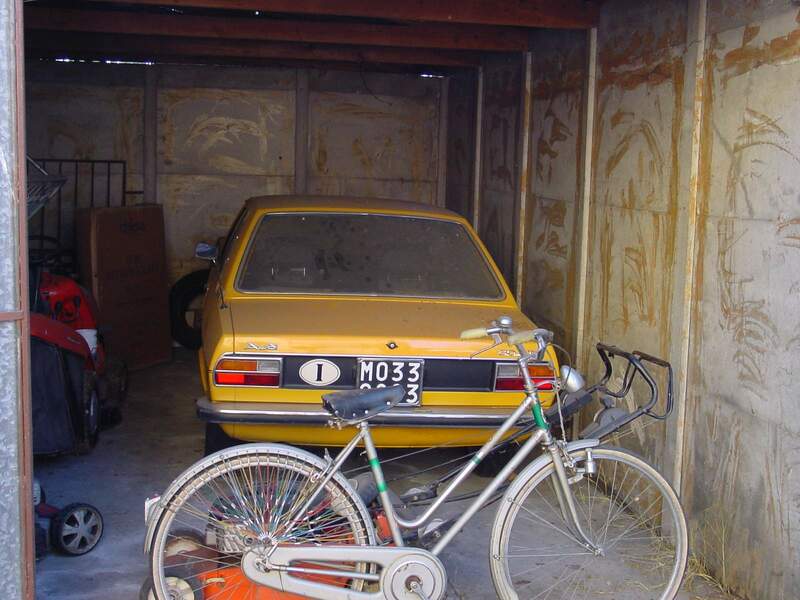 The car to be inspected was a Citroen DS 20 Pallas being offered to me by a gentleman from Parma. 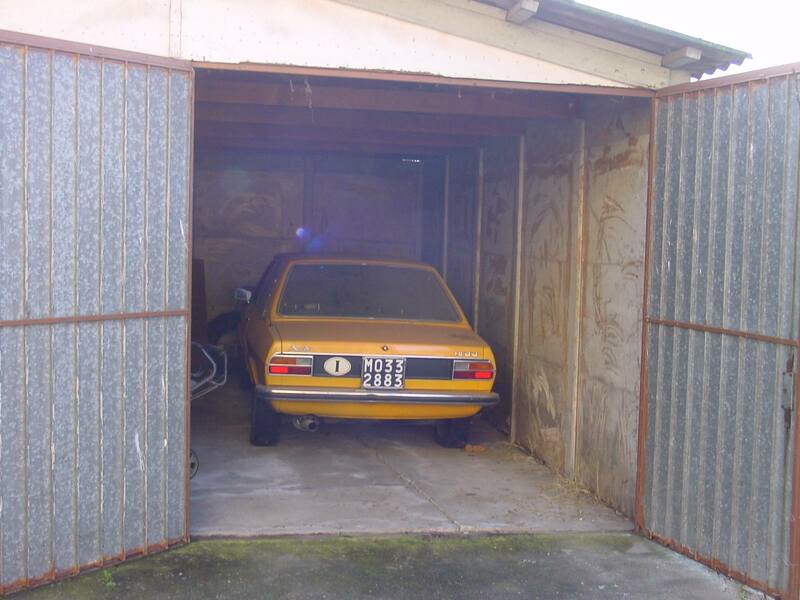 On a freezing day last January I arrive at a nice house in the Parmesan countryside, where this fellow in his fifties is waiting for me to see his father's Citroen; he passed away several years ago and his car has been left unused in the house's garage. The car takes up a lot of room, is no longer roadworthy, and the mother claims her space back. As I approach the house I notice a small barn at the end of the property, with its door partially open and a bright yellow car inside. I ask to see it, but the chap is at first reluctant: he wants to be begged, then gives in and opens the door. 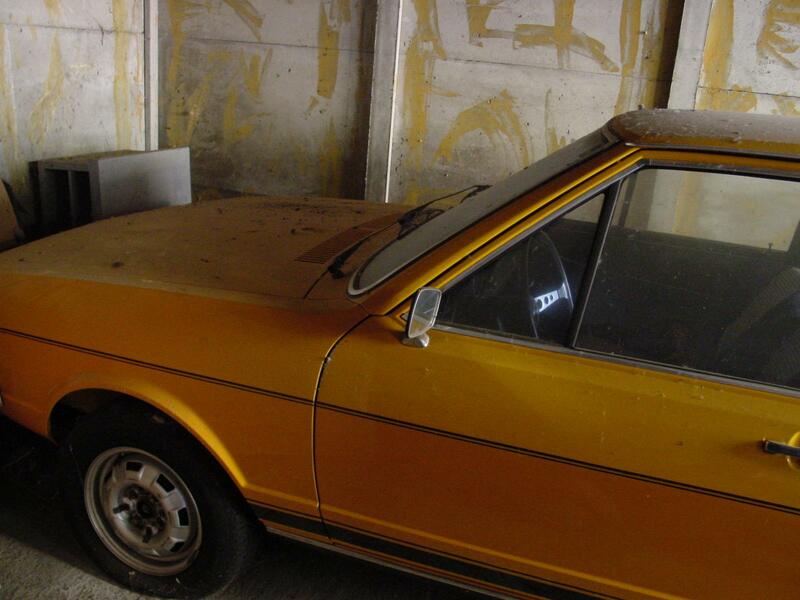 Even more derelict appearing than the Citroen, in the barn is stored his personal old Audi 80. But it's not a common Audi, it's a Series One 80 GT, the carbureted one that had been produced for a short period of time in the early seventies, and made available only in one color, "Monza Gelb". Completely original, never messed up, even the rear silencer is still the OE one that sported a larger diameter pipe. The car has been sitting for years, it's too old, he says. 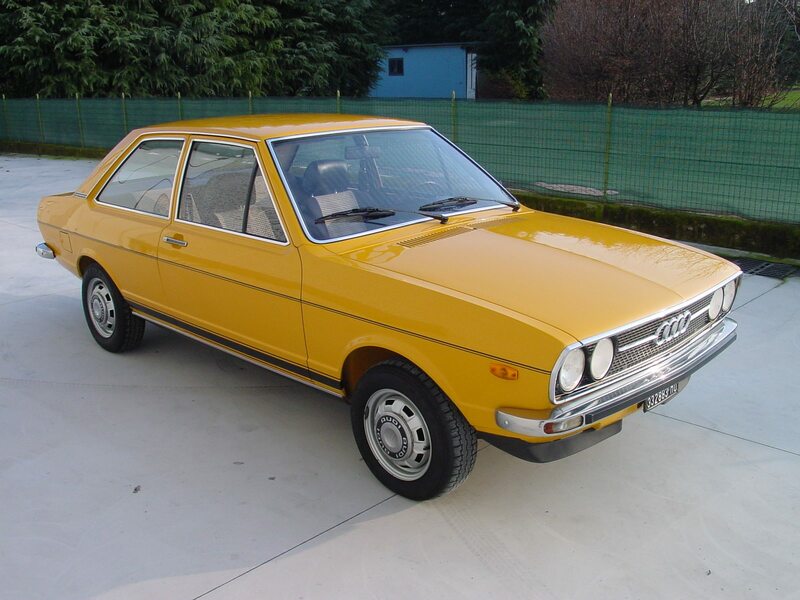 It's a short negotiation, I'm more interested in the Audi than the Pallas, but in order for him to sell it to me I will have to buy both, or no deal. Back at Bresciacar, after some vigorous scrubbing the car is put on an elevator to check the conditions of the floors and it turns up to be perfect, never been in an accident and totally rust free, not even a tiny bubble. Original papers and plates, all manuals and Service book, double keyset. Everything. I do a quick search on the Internet in order to see if there are others for sale but I find none, neither in Italy nor abroad. The GT Mark 1 was similar in its interior equipment to the later Golf GTI, anticipating the look of the much luckier subsequent Volkswagen: three spoke steering wheel with aluminum and leather, green dials and the central cluster in front of the gear lever containing three additional gauges. Houndstooth fabric for the sports seats, fatter tires and sport exhaust. It was a two door Coupé destined to a performance oriented clientele; not many had been sold before the advent of the Series Two, fuel injected this time, was rather expensive and being rather fast and fun to drive they were quite abused: hence such few survivors. 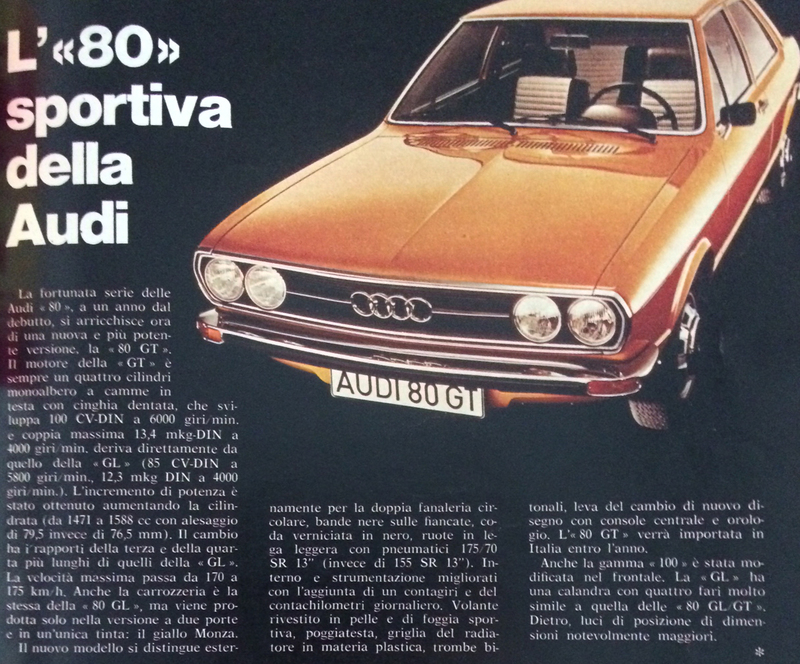 I decided to let Autogerma (the italian importer for all vehicles of the Volkswagen-Audi Group) know about this car, in case in Ingolstadt they didn't have one in their Museum. And indeed a few days after I received a mail from Mr Ralf Friese, from Audi Tradition, asking for an appointment to see the car. 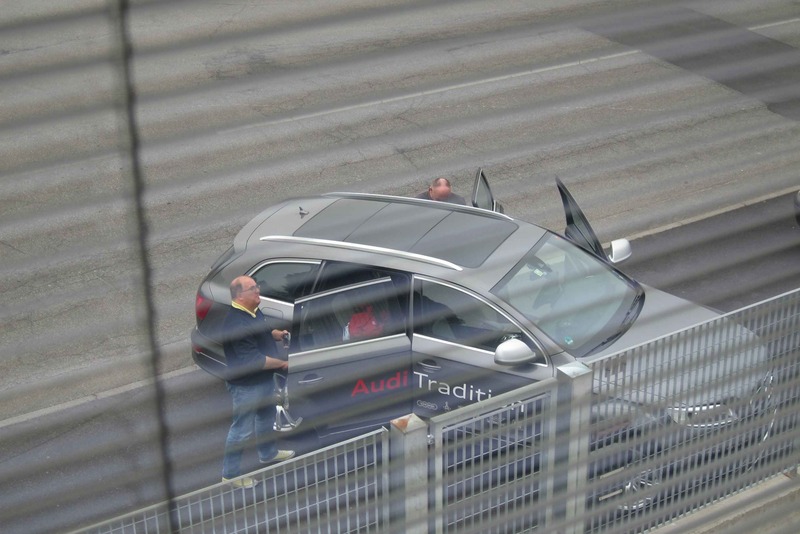 He comes to Bresciacar with a colleague of his: both are responsible for the cars of the Audi Collection, that is all the cars in the Factory Museum plus some other 450 waiting to gain access to it someday. They are extraordinary people, friendly, talkative and immensely knowledgeable. They check the GT in a few minutes, take pictures of some details totally unknown to me but searched by them with surgical attention, and confirm immediately the purchase of the car. And they tell me they didn't hope to find one in such pristine condition. 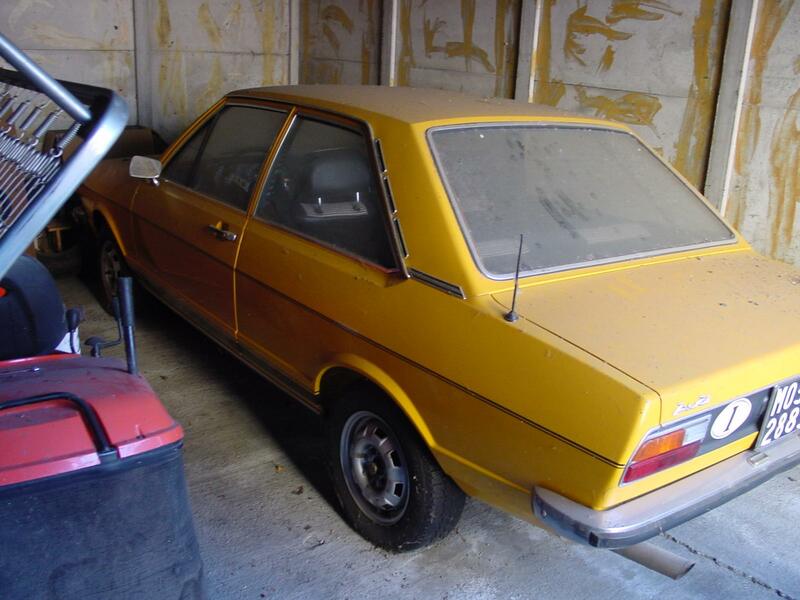 They don't have this model, they have the Fuel Injected MK2, and had been looking for one without luck for a while. 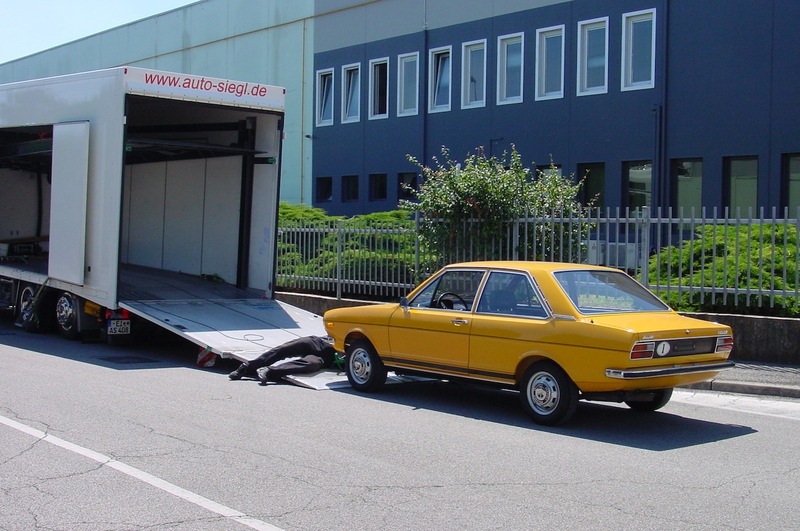 To become a supplier of a major Car Manufacturer is a lengthy process, but in the end the 80 GT was loaded yesterday on a lorry sent from Germany, and is now on its way back to Ingolstadt, where it was born exactly forty years ago. 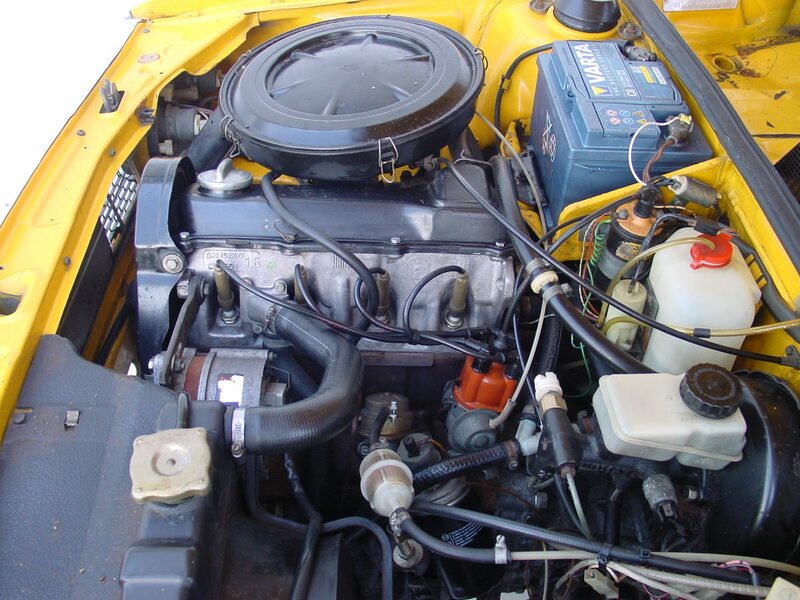 A big satisfaction, not only for the stroke of luck in finding a rare car while inspecting another, but especially for the privilege of having met the tough requirements of an important Auto maker like AUDI with one of Bresciacar's classic cars.